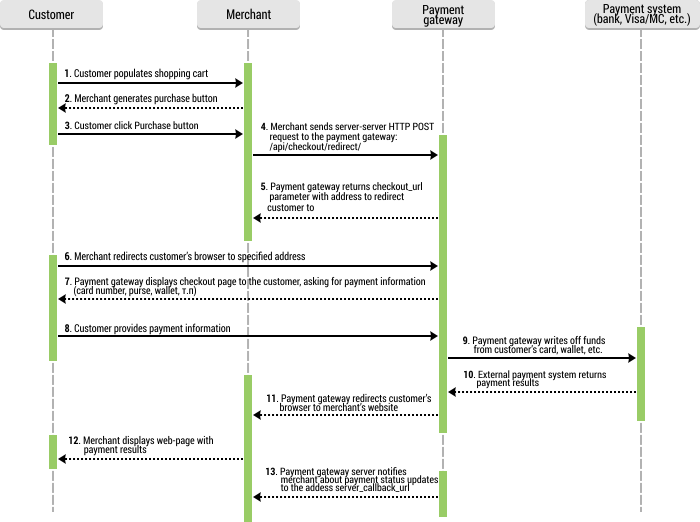 After getting response from payment system payment gateway FONDY redirects customer to merchant site sending payment result parameters using HTTPS POST. Merchant shows result page with payment details. 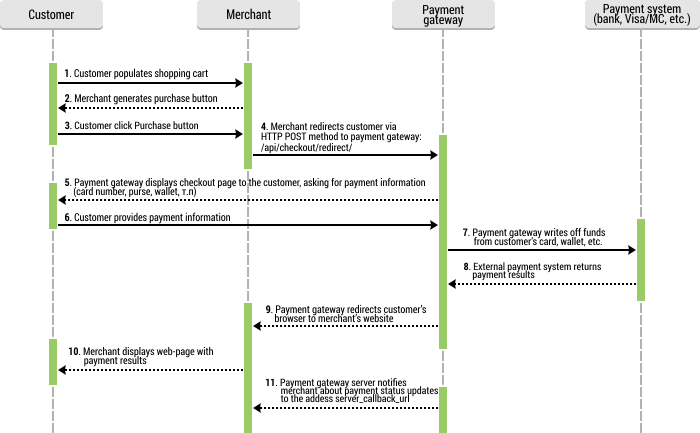 Payment gateway FONDY returns to merchant interim response with parameter checkout_url which contains URL to FONDY paymant page, where customer must be redirected to enter payment details.